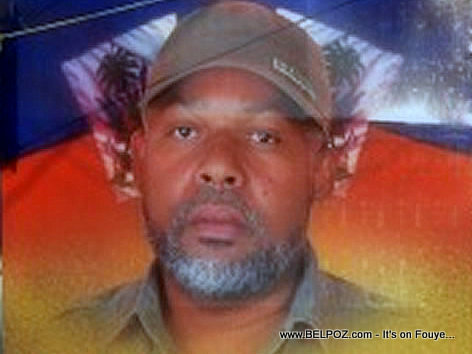 Men Nouvel... Haiti - Eric Jean Baptiste (Père Eternel Loto) Tire tèt li... Pandan misye ap pwòpte zam li lakay yo, yon bal pati... Bri kouri, misye pran yon bal nan vant... Li pa mouri, yo kouri lopital ak li... Kisa-w panse? Reports came in around 1:45am that Eric Jean Baptiste was in the operating room for his injuries. According to news reports, Eric Jean Baptiste is currently at Canapevert hospital and he is in stable condition. UPDATE: We spoke to a family member of Eric Jean Baptiste who confirmed to us that he was shot in his shoulder, earlier reports suggested he was shot in the stomach. Li telman fait moun abus Bon Dieu ap regler avec li. Li vole 10000.